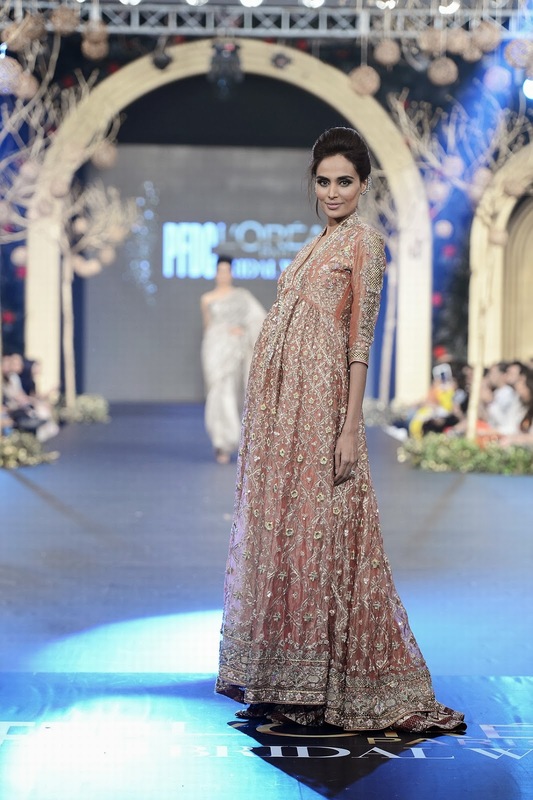 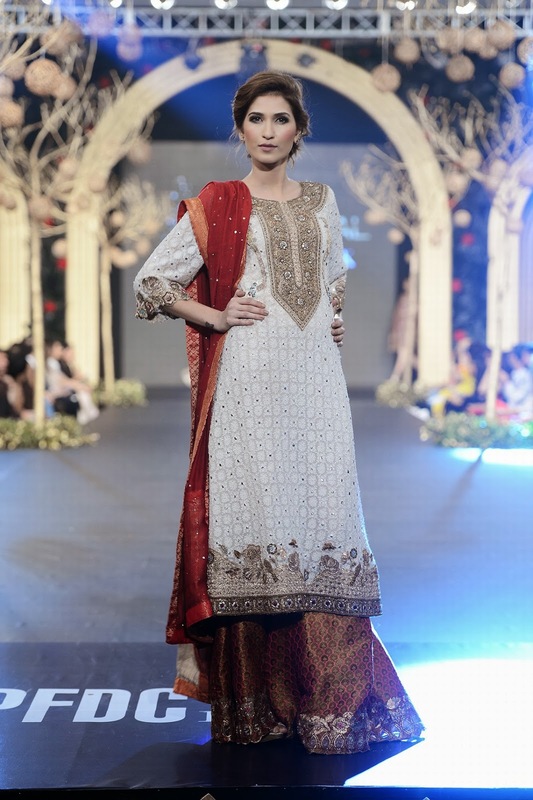 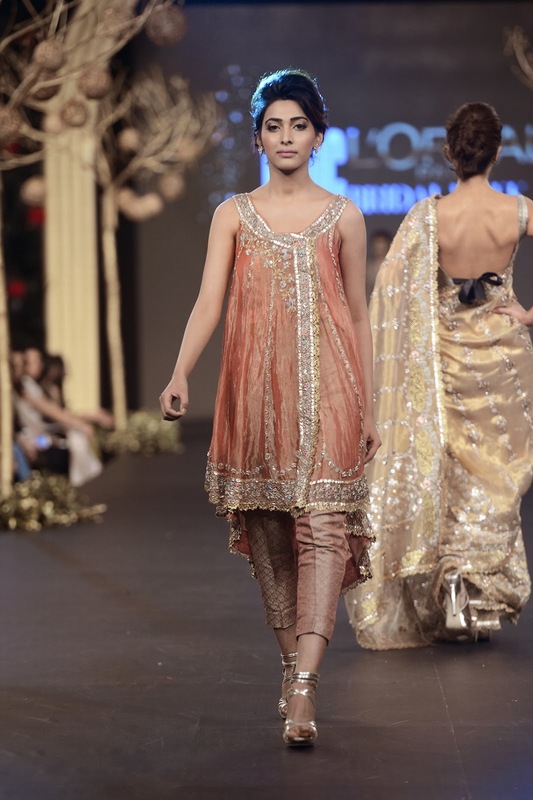 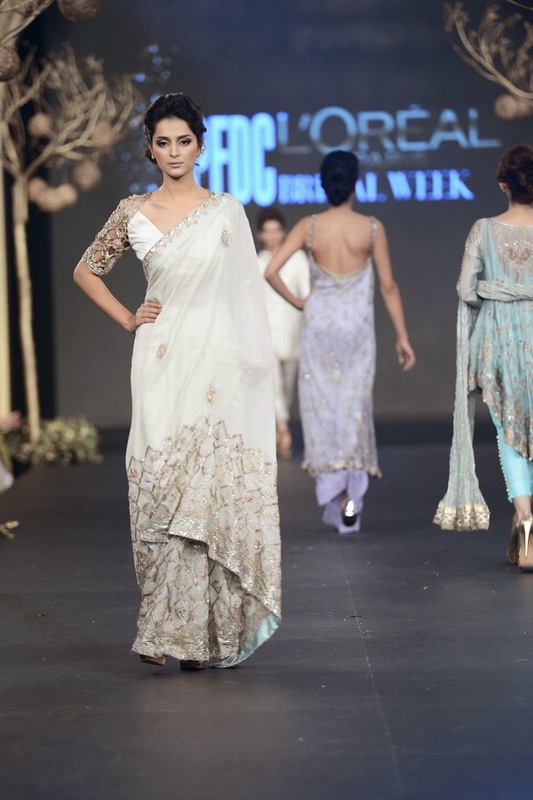 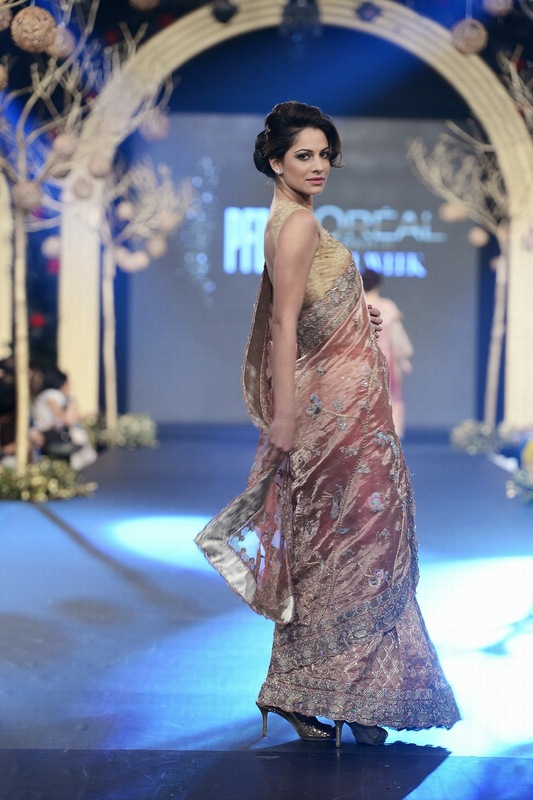 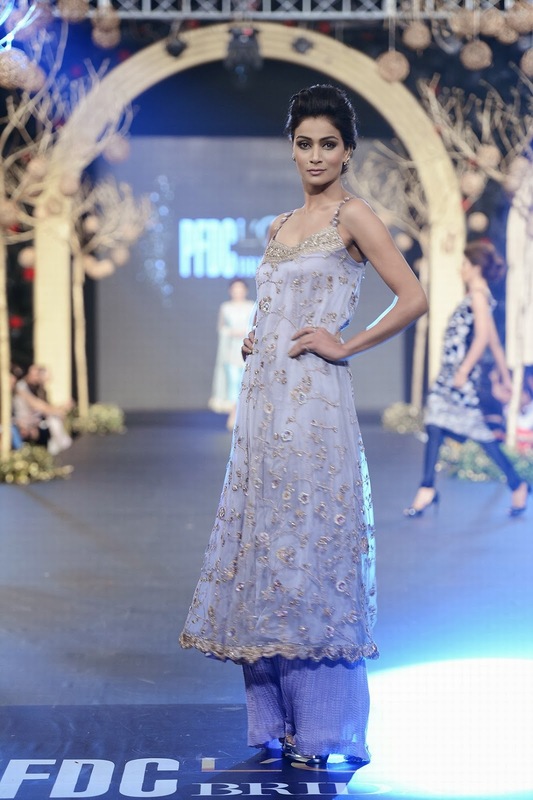 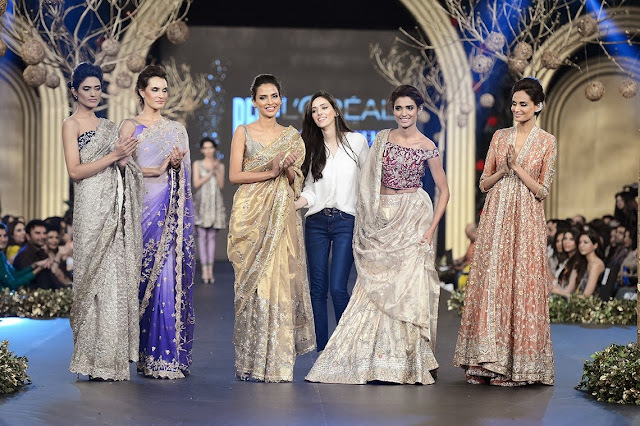 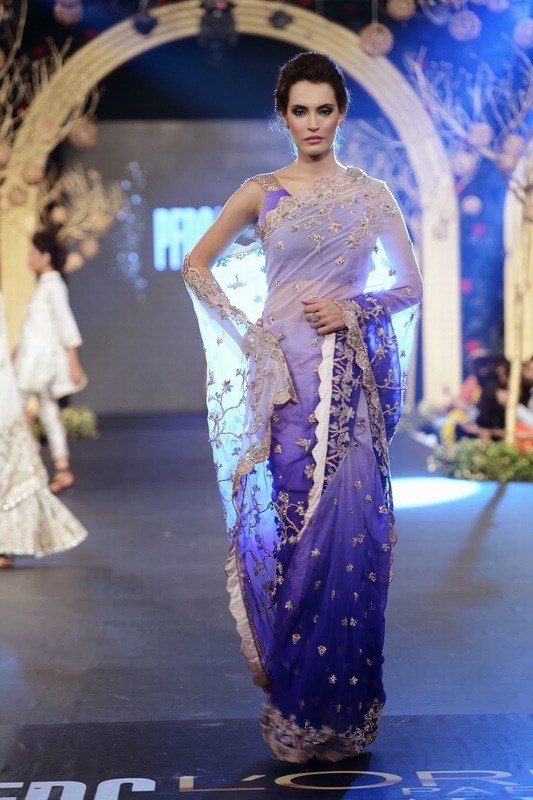 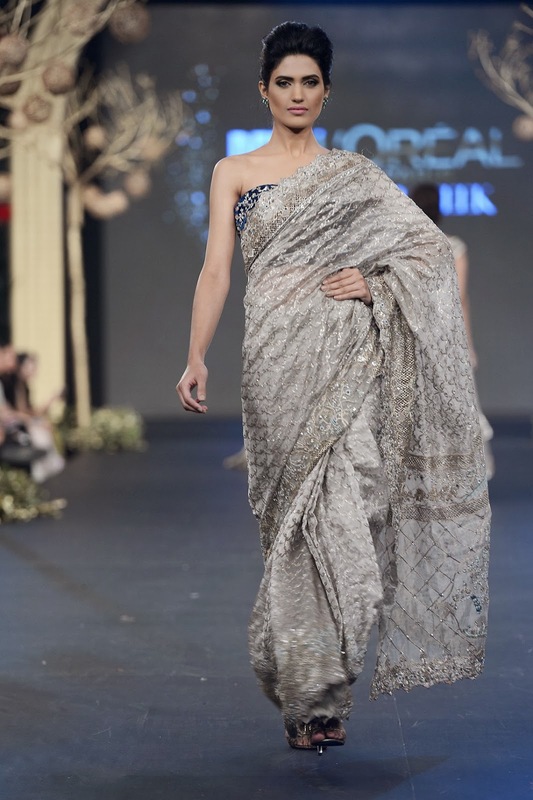 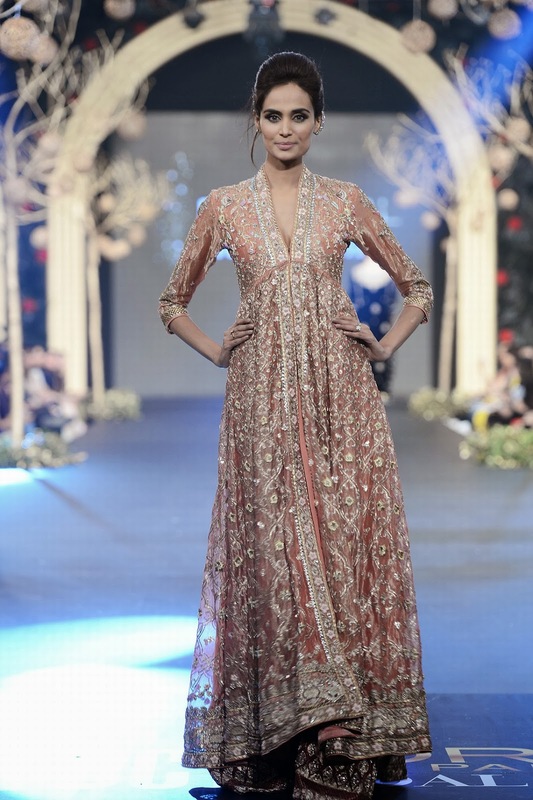 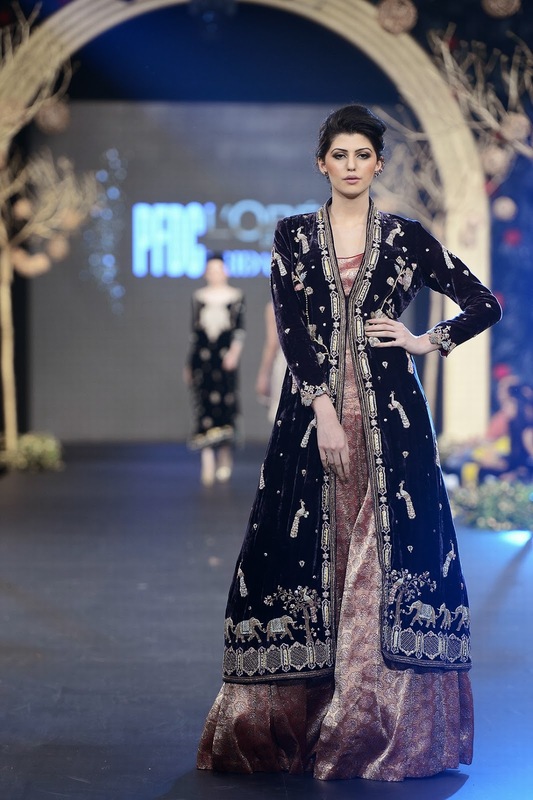 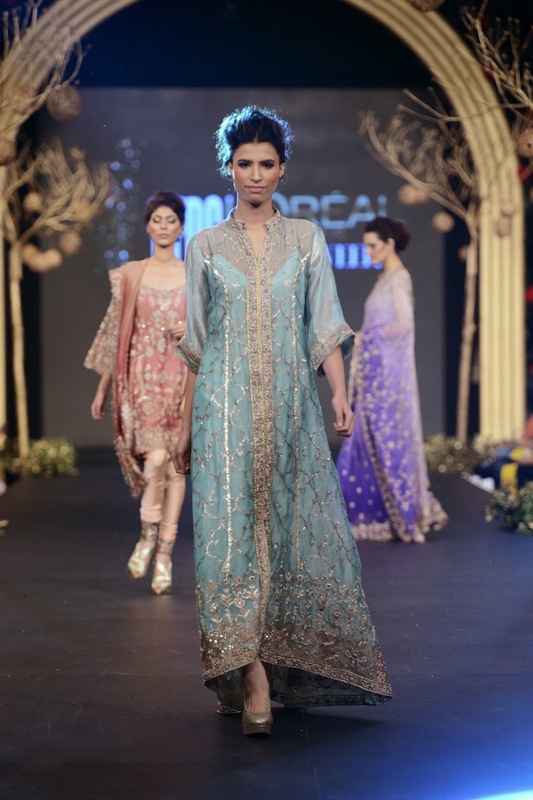 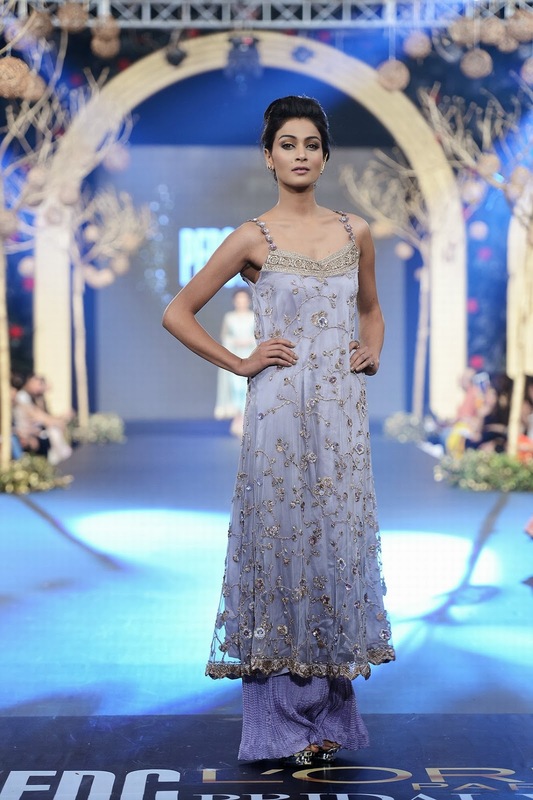 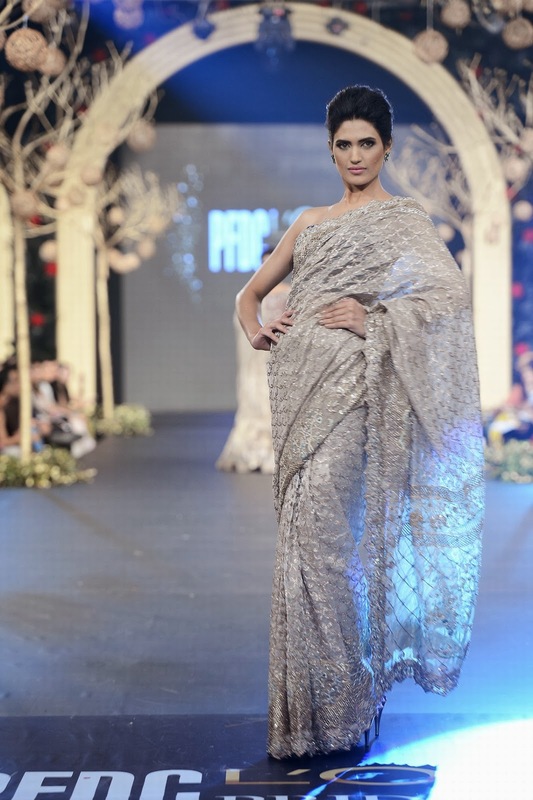 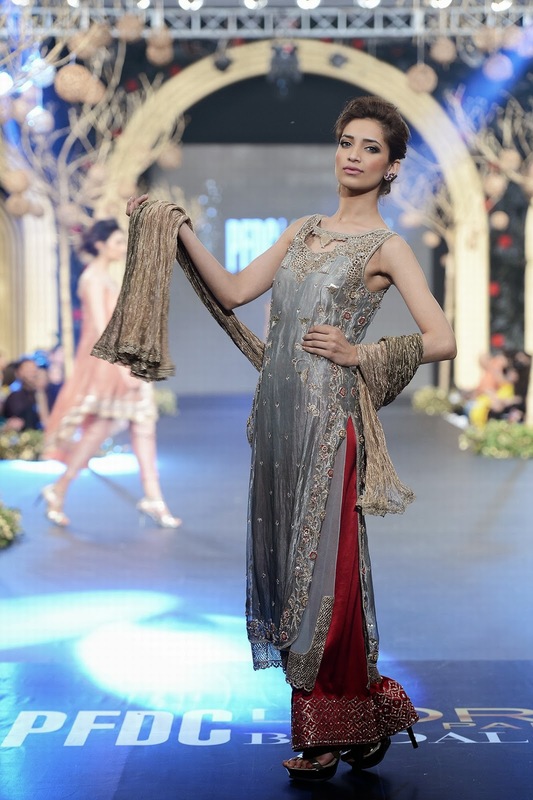 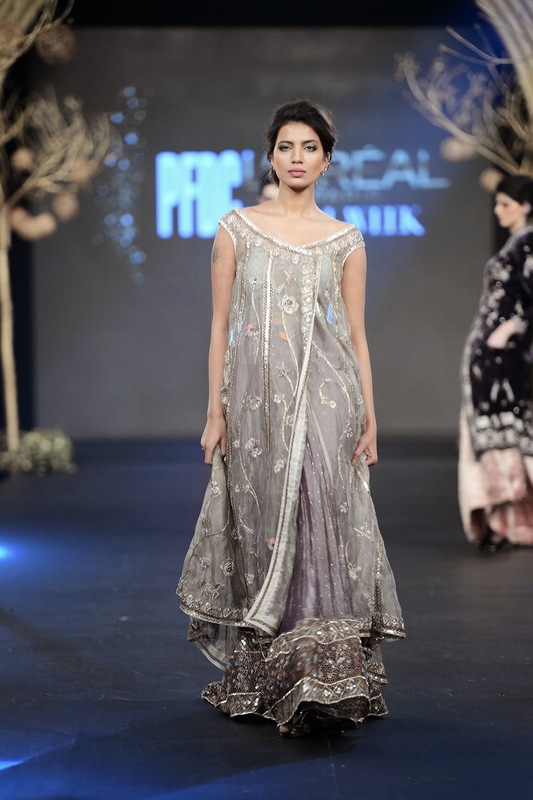 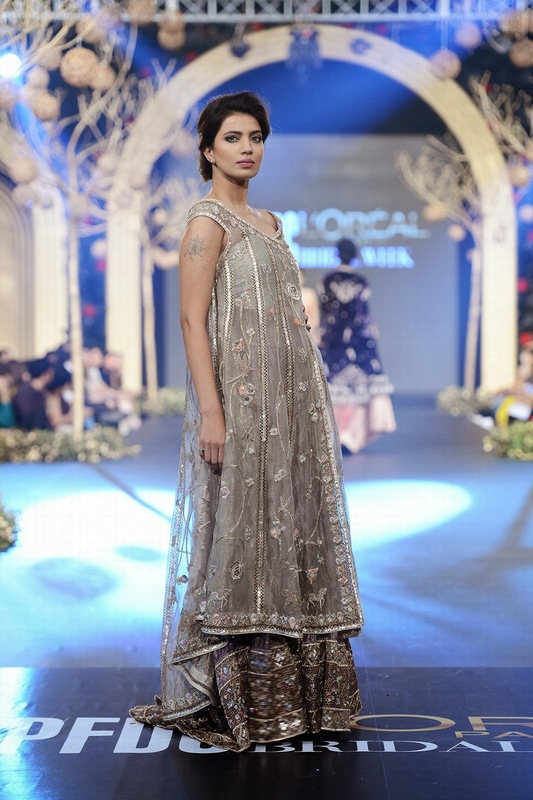 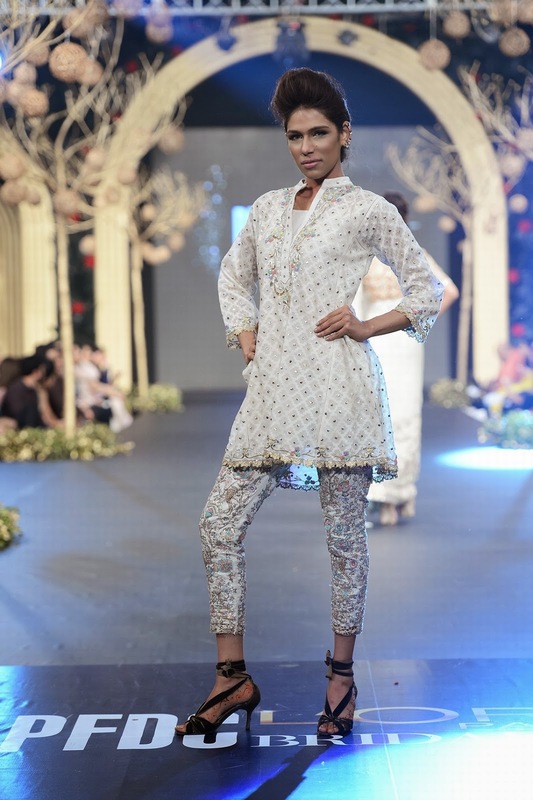 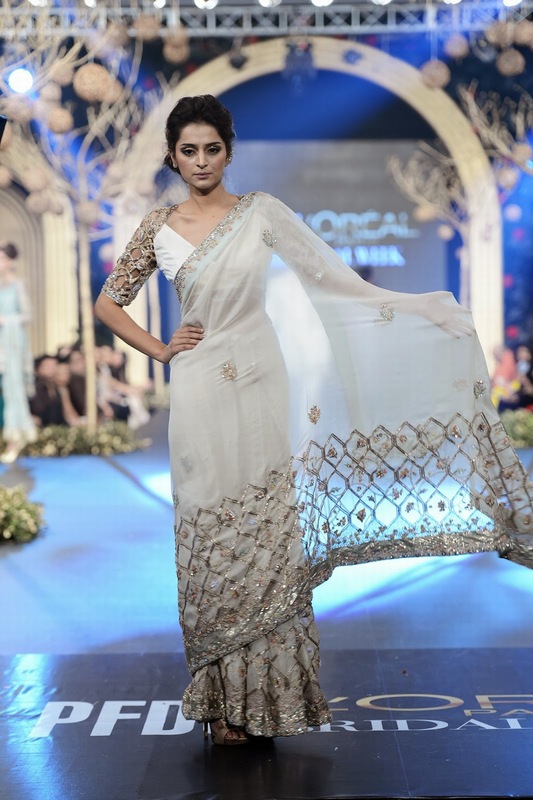 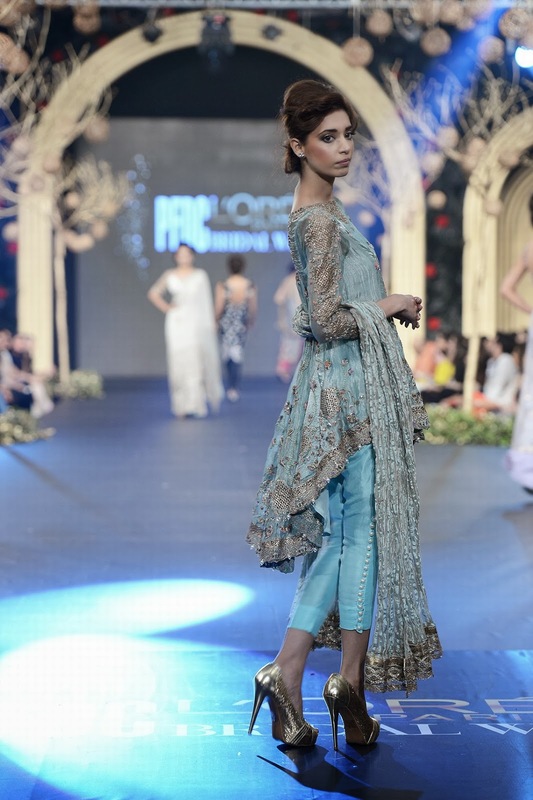 Deena Rahman made her ramp debut at PFDC L’Oréal Paris Bridal Week with a collection titled ‘Old World Memories and other Inherited Objects’. 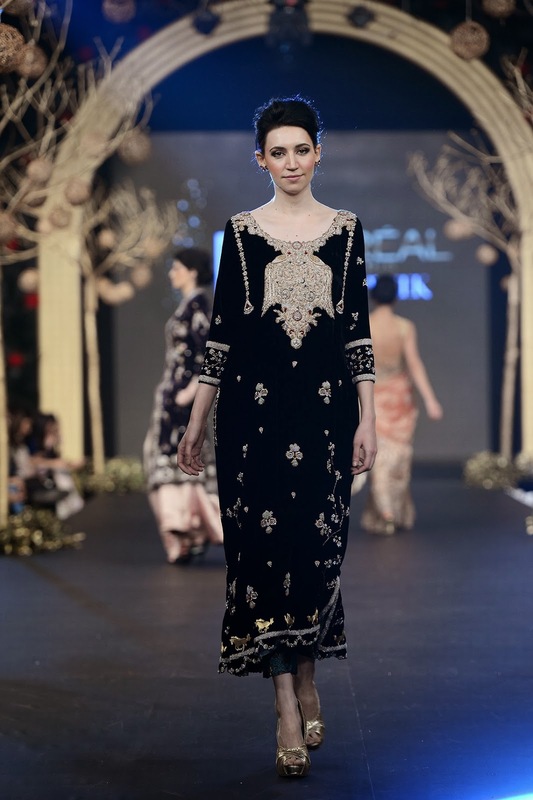 The collection was inspired from a forgotten time; where vintage pieces from long ago were passed down from generation to generation to the designer, forming the basis of her inspiration. 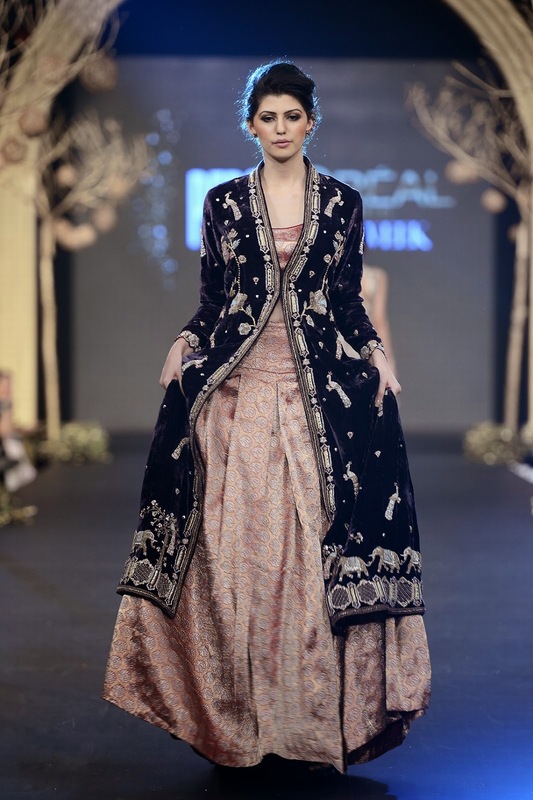 Primarily based in tissue, the ensembles were designed on velvet, kamkhab, chiffon, net and pure cashmere represented through a pastel colour palette based in pops of purple, black and red. 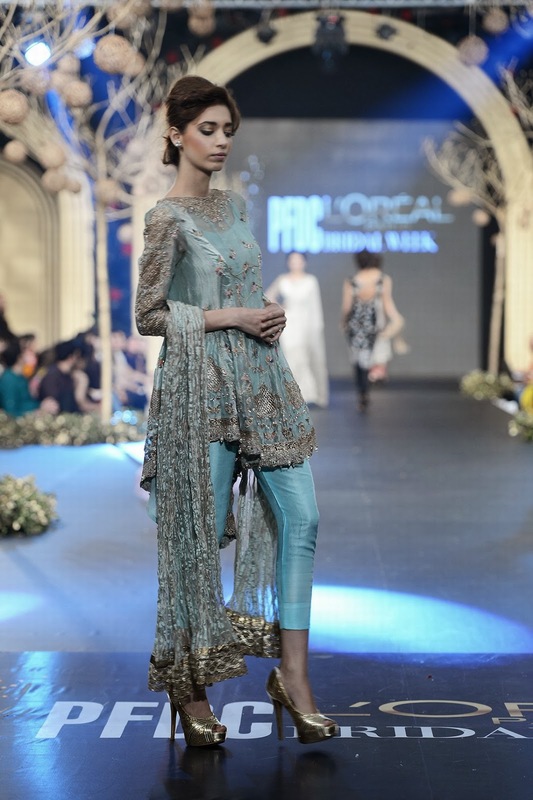 The collection featured a unique take on embellishments, mixing many different mediums together to create distinct yet interesting textures. 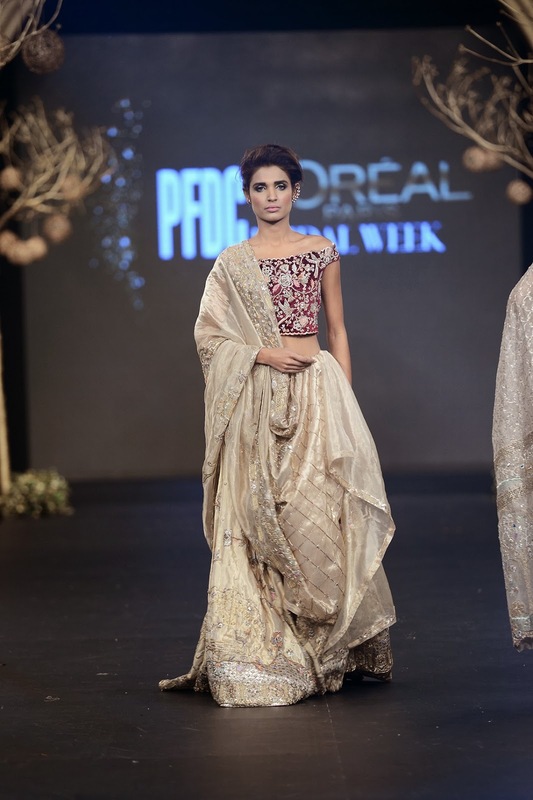 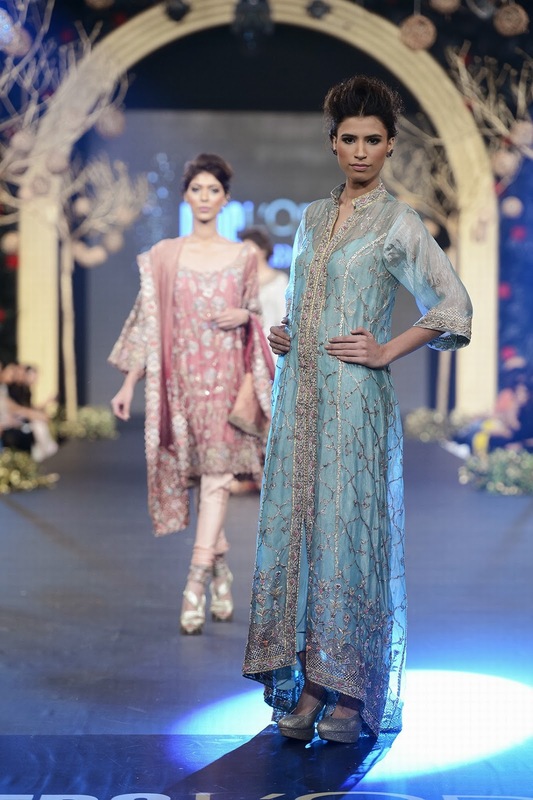 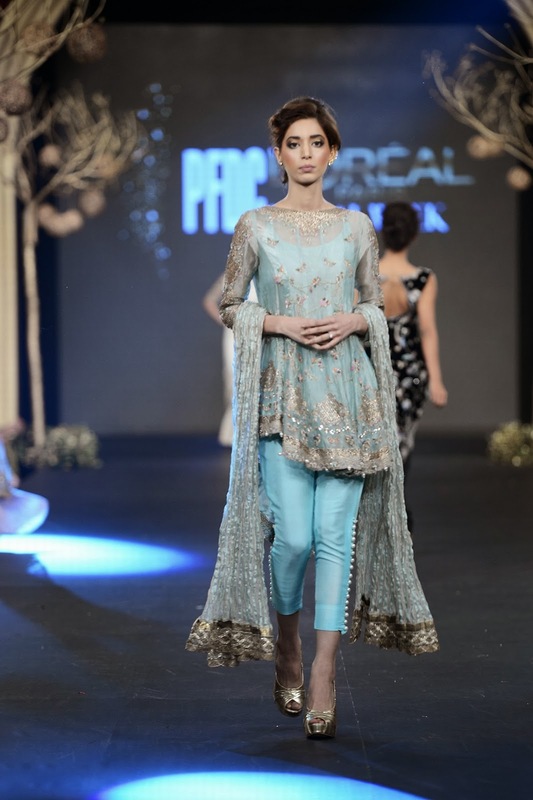 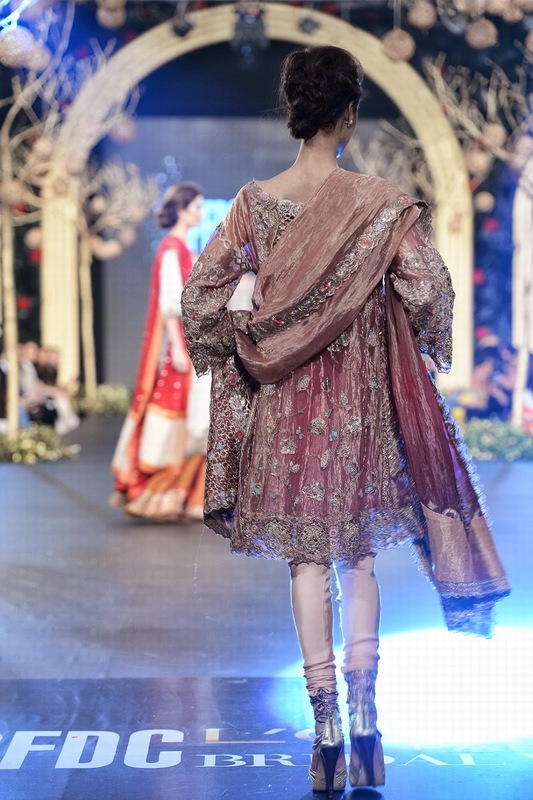 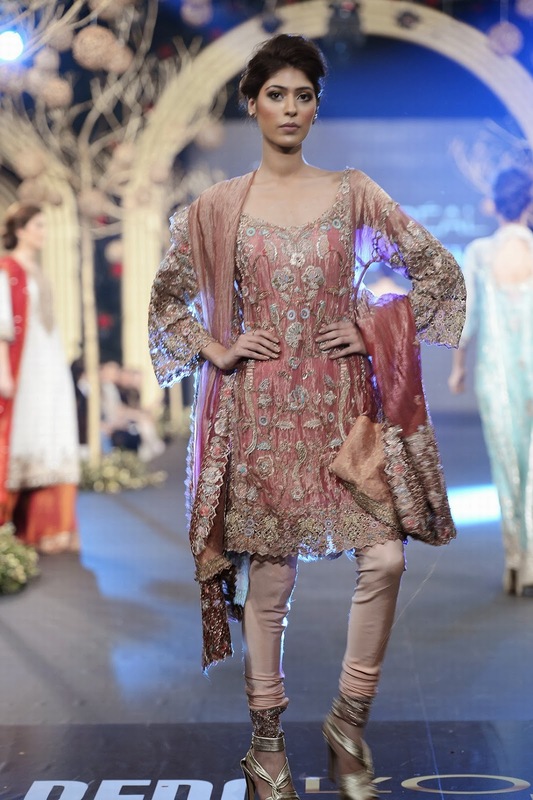 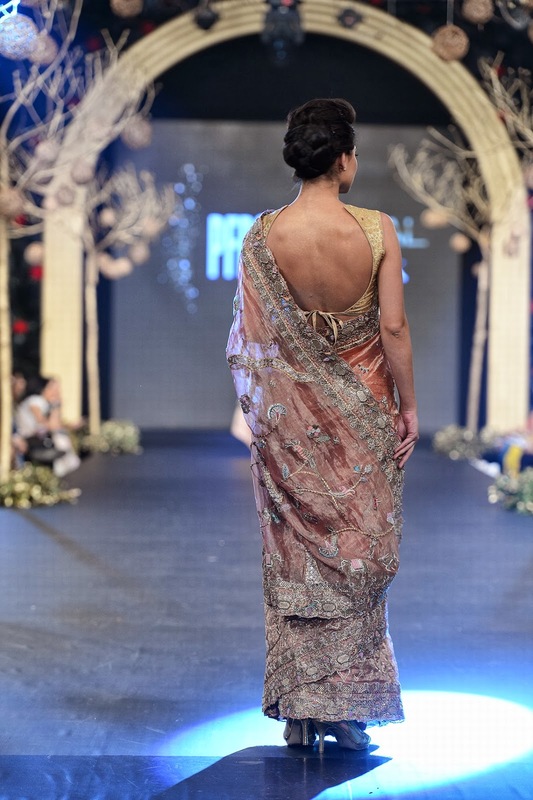 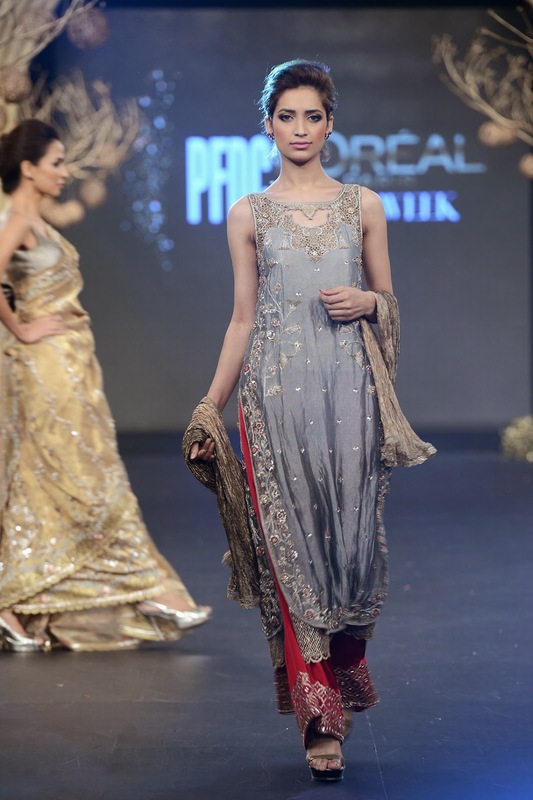 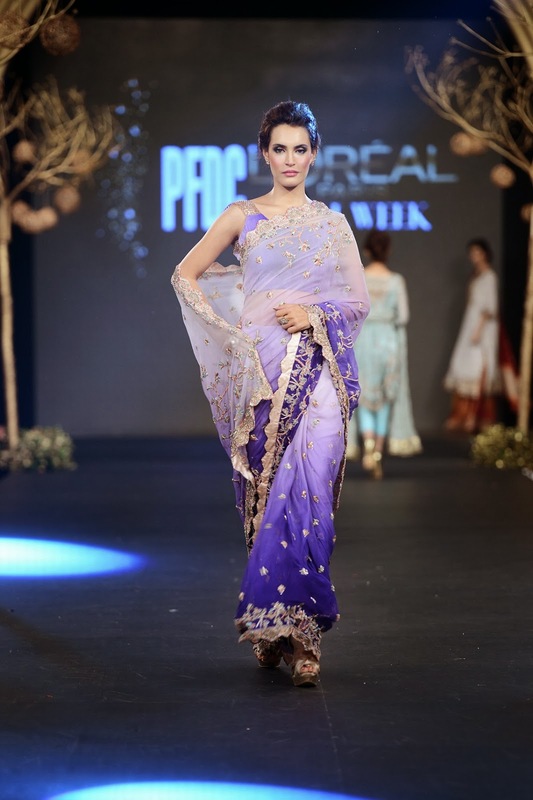 The label’s signature for its first major collection showcasing at the PFDC L’Oréal Paris Bridal Week was feminine, traditional, heavily embellished yet not overpowering - a throwback to our Mughal heritage and its splendour inspired from Mughal miniature art stories of beautiful animals.